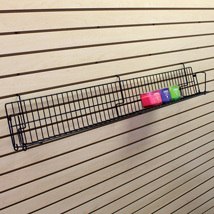 Strong and solid slatwall shelving! The 3 in. deep slatwall shelving is designed for Books, CD and DVD rental. The convenient 3-inch depth allows for displaying of 4 DVD or 4 CD cases deep with the proper angle to keep cases from falling off shelves. Shelves have a slight angle to keep products in place. 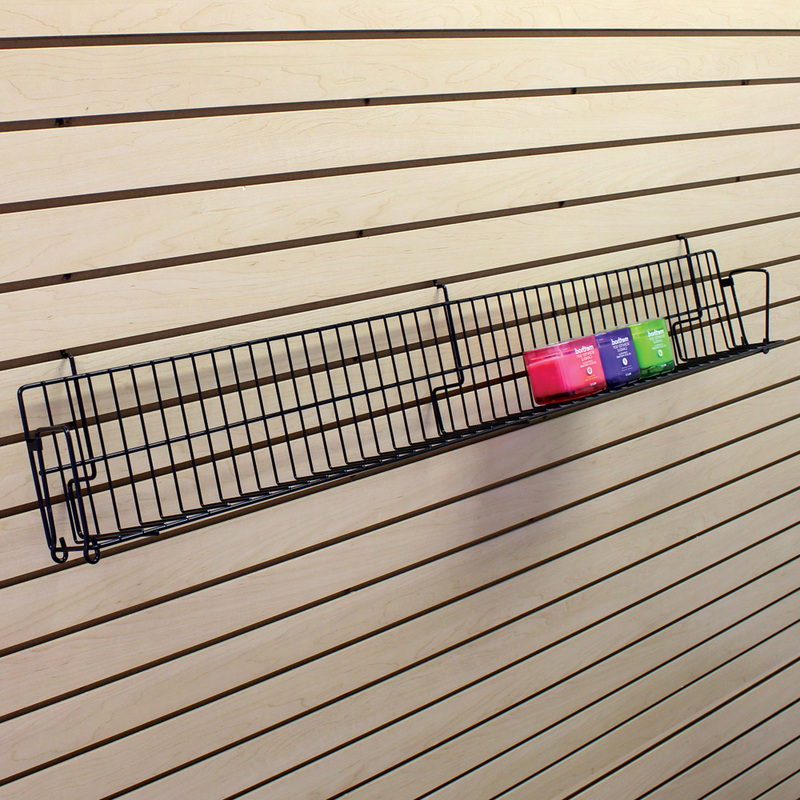 For additional options, we ask you to take the occasion to shop our comprehensive collection of slatwall shelving at Specialty Store Services today.